HomeBlogManufacturingHow Is Smart Packaging Changing The Packaging Industry? In the packaging industry, smart packaging is the hot new trend. Comprising of both active packaging and intelligent packaging, smart packaging is more than a passing fad. With the adoption of smart packaging across all industries, it may just change the packaging industry entirely. At the moment, the smart packaging industry takes less than 10% of the packaging industry. The industry is expected to reach $40 billion by 2020. However, the overall packaging market is valued between $400 and $500 billion. That said, smart packaging is one of the fastest growing sectors in the packaging industry. It may be fruitful for companies to adopt smart packaging sooner in order to get ahead of the curve. With this in mind, is it time your business started incorporating new packaging methods into your organisation? Smart packaging describes packaging that enhances its own functionality. It may use a range of specialist materials or technology in order to either improve the packaging, doing more for its contents or communicate a message. An example of smart packaging would be in the food industry where packaging can sense the temperature, time and ripeness of products and the environment to help retain the microbiological quality of the contents. This can help to reduce wastage and ensure the safety of the contents. Packaging can then even add the barriers, absorbers and necessary controllers to extend the life of products and protect its contents as best as it can. 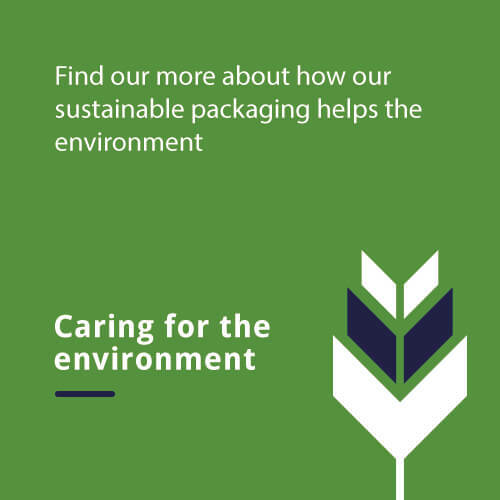 Another aspect of smart packaging is intelligent packaging which works to sense changes in the environment which could be a risk to the contents. For example, the intelligent packaging could have anti-counterfeit measures, monitor microorganism growth within the packaging. Intelligent packaging can also display marketing and branding messages as well and control and manage the supply chain. What Does Smart Packaging Consist Of? Protection – Materials, technology and methods of extending the protection methods of the packaging. For example, this could be thermal layering to keep contents cooler for longer. Communication – The packaging’s ability to communicate a message. This could be a marketing or branding message or a warning that contents is above its required temperature or passed its expiry date. Containment – Minimising waste while adequately containing the contents so that the contents are fit for purpose when removed from the packaging. Convenience – Packaging must consider both the ease of the production line and convenience of the customer. It should be easy for customers to get rid of the packaging (such as through recycling) but also be easy to create to reduce cost and time on the packaging line. What Are The Benefits Of Smart Packaging? In the food industry and the medical industry, it is essential to reduce spoilage and wastage. Smart packaging can help to extend the shelf life of products. In fact, even if there was just an increase of one day for the shelf life, the cost savings could be significant for many companies. For brands that suffer from counterfeiting, it can help to verify the goods and the brand and prevent items from losing value due to the black market. There can be measures in place to ensure the authenticity of the product. For companies transporting hazardous goods, then it is essential to have adequate packaging to protect the contents. Packaging can increase the safety measures in the logistic process. As accidents and poor packaging can ruin the reputation of a business, safety through packaging becomes essential. Smart packaging can offer a number of savings, from extending shelf life, as mentioned above, to creating reusable packaging that can be reused and repurposed to reduce the cost of packaging production. At the moment, some brands may struggle to realise the cost savings straightaway. This is because smart packaging is still new and requires substantial investment to develop the products. However, for many companies, it is well worth conducting a cost-benefit analysis to see if the investment into smart packaging can save money or be good for business by meeting customer demands. The main barrier to the use of smart packaging is the fact that demand requires packaging to be as sustainable as possible.